Entirely manufactured in Italy, our range of jacks is currently the widest and most complete in the world. Protools air hydraulic jacks are entirely manufactured in Italy. They stand out for their excellent versatility and quality. Thanks to the high quality materials used and the advanced technologies, our jacks are well known for their high perfor- mance and for their outstanding technical features. Each jack undergoes final testing and inspections for more than 100 minutes in order to check the perfect operation. 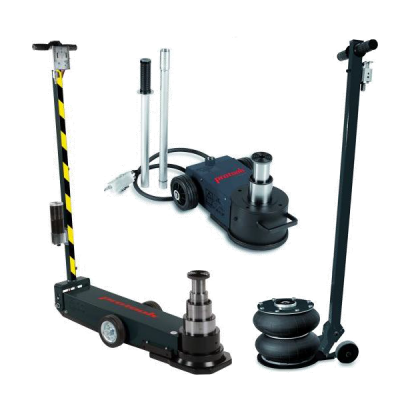 Our range of jacks is currently the widest and most complete in the world, going from classic trolley jacks to pit jacks, as well as a large range of accessories. With Protools jacks any kind of vehicle can be lifted. The jacks we manufacture have capacities going from 2 to 150 t.